Roy Lichtenstein Pop Art Paintings, History, Prints and Everything Else! Roy Lichtenstein, in our humble opinion defines pop art with real style... Here you will find out about his life, history, his works, his paintings and can even order prints for our recommended quality stockists - if you want to that is! 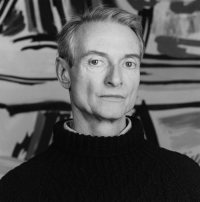 The real wonder of Roy Lichtenstein is how he derived an enormous amount of his art from the growing area of 1960's comic strips. The vivid colours and sense of movement through comic like techniques created a sense of involvement with the paintings, which popular culture was crying out for at the time. Not only did the images appeal to the eye, but they were also some of the most progressive of the time. Roy Lichtenstein and his art has always been comletely iconic. There are no other ways to describe the strong imagery, the clever use of bold colours and the way in which the images create a huge impact. More information will appear here soon about his life, his work and his biography.